The other day, it hit me. 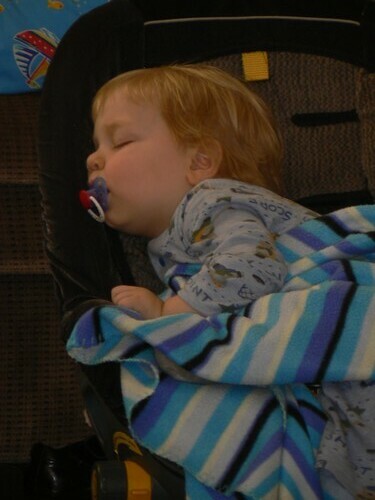 It has been almost a year since JSL’s last febrile seizure on October 29, 2009. I should be optimistic about this milestone, but we have been there and done that before. 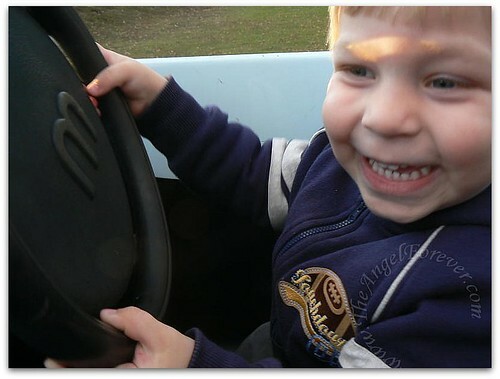 JSL’s febrile seizure nearly twelve months ago was his fourth. I had three as a child, TechyDad at least two, and NHL only one, so we know all too much about them. Still, I look at my bubbly child and wonder, will there be another? 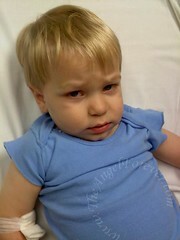 Will we need to go on another ambulance ride to figure out why he has a raging fever and seized? I do not obsess over this, yet it is on my mind a lot right now. It is hard not to when you have seen your child stop breathing four times in less than three years’ time. 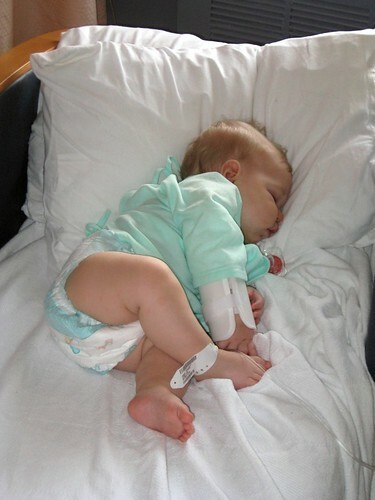 The first febrile seizure was when JSL was nine months old in February 2008. That was quite possibly the darkest night of my life. The night that my baby’s lifeless gray body had to have breaths of life blown into him by my mother. A four day hospital stay resulted. I wrote about it at the time, and, then a year later, in my post called Memories of THAT night in February. At the time, I celebrated the fact that JSL had gone a year since his one and only febrile seizure. Typically, that is a huge accomplished and means that a child is less likely to have another. Something I have learned, JSL is not a typical little guy. Less than two months later, I would be writing about JSL having his second and third febrile seisures in less than 30 hours. Seven months later, while home alone with the boys my worst nightmare happened. While recovering from H1N1, NHL had to help me let paramedics into our house. While changing his diaper, just moments after running around and playing with his brother, JSL had his fourth febrile seizure. To this day we are still not sure what caused that one. Now, I just hope and pray that we can continue to add additional time onto our watch since JSL’s last febrile seizure. I promise not to jump each time the phone rings and it is nursery school, but I think you can probably understand why the underlying fear will remain for years to come. Now, I am off to give my little guy a great big hug. Yes, I totally understand the fear. I hope that you won’t have another seizure in your family….you’ve had enough. Yikes, that sounds scary no matter how many times it has happened. I have seen only one seizure, and that was my grandmother when I was really young. It was one of the most frightening times of my childhood. I have honestly lost count of when Austin’s last CONFIRMED seizure was, but that doesn’t mean I don’t still see them in my dreams and live in fear every day. It stinks to live that way, but I have made peace with it. I wouldn’t be a mom if I didn’t still think and fret over them.